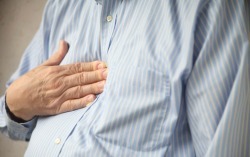 More than 30 million Americans suffer from acid reflux monthly. According to a national study that followed more than 30,000 people for 11 years, symptoms of reflux and heartburn have nearly doubled in the last decade. Scott & White Healthcare has joined forces with other U.S. communities to improve public awareness regarding diagnosis and treatment, as well as the health risks associated with gastroesophageal reflux disease (GERD). U.S. health care professionals are using the week of November 24 surrounding Thanksgiving to promote GERD awareness. It is no surprise that a holiday centered around an abundance of food is associated with a campaign intended to raise awareness about this chronic digestive condition. During GERD Awareness Week, patients are encouraged to understand the symptoms and causes of GERD, its associated health risks, and treatment options. What are the causes and symptoms of GERD? GERD can affect people at any age, but the risk for developing GERD increases after age 40. GERD is caused by a weak lower esophageal sphincter (LES) that does not adequately prevent stomach acid from escaping the stomach and flowing back into the esophagus. GERD also can be related to a hiatal hernia, which can allow stomach acid or undigested food to wash back into the esophagus after a meal. You experience heartburn twice or more each week. Your heartburn affects your sleeping. Your heartburn persists or becomes more severe. You’ve had heartburn regularly for several years. Daily activities are affected by discomfort from reflux. You notice shortness of breath, wheezing and chest pain. You experience a chronic, non-productive dry cough. Beyond discomfort in daily activities such as exercising, eating, and sleeping, GERD can result in additional complications. Over time, stomach acid can cause esophagitis, a painful inflammation of the esophagus. Left untreated, esophagitis can result in esophageal bleeding, scarring, or ulcers. An additional condition called Barrett’s esophagus affects about 1 percent of GERD patients. Barrett’s esophagus occurs when cells in the lower esophagus become damaged and change color and composition. This increases the risk of developing esophageal cancer. Since 1970, the diagnosis of esophageal cancer has increased by 600 percent, and is the seventh leading cause of cancer death for men. Patients with Barrett’s esophagus are encouraged to be screened regularly for cancer because many symptoms do not appear until the cancer is advanced. Treating GERD requires a long-term commitment to improving lifestyle choices and may require physician recommended treatments to control or reduce painful symptoms. A new FDA approved device is now available for the treatment of GERD. The device, which resembles a small bracelet, is composed of tiny magnetic titanium beads. During a minimally invasive laparoscopic surgery, the implant is placed at the base of the esophagus, just above the stomach, and acts as a support for a weak LES to prevent stomach acid from washing into the esophagus. In a three-year study, 92 percent of patients reported significant symptom improvement and 94 percent of patients were satisfied with their condition following surgery. To learn about GERD treatment options, contact The Heartburn and Acid Reflux Center at Scott & White Hospital – Round Rock at 512-509-GERD, or by visiting heartburn.sw.org.